Can your attitude affect your health? Of course it can! I see it in practice all the time. I have experienced it! That is the beautiful thing about homeopathy. A trained homeopath listens to what the patient is talking about and help. Attitudes are important. There have been plenty of studies done on how chronic stress from negative attitudes and feelings of helplessness and hopelessness can upset the body’s hormone balance and deplete our brain chemicals required for feelings of happiness, as well as damaging our immune system. New scientific understandings have also identified the process by which chronic stress can actually decrease our lifespan by shortening our telomeres (the “end caps” of our DNA strands, which play a big role in aging). Poorly managed or repressed anger (hostility) is also related to a slew of health conditions, such as hypertension, cardiovascular disease, digestive disorders, and infection. Positivity can change these things. 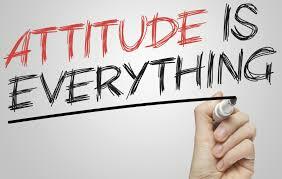 What can change with a positive attitude? Things like having gratitude, forgiveness, happiness and emotional resilience. The best way to describe emotional resilience as being like a rubber band and no matter how far a resilient person is stretched or pulled by negative emotions, he or she has the ability to bounce back to his or her original state. Resilient people are able to experience tough emotions like pain, sorrow, frustration, and grief without falling apart completely in fact, some people are able to look at challenging times with optimism and hope, knowing that their hardships will lead to personal growth and an expanded outlook on life. Now that is not saying that resilient people do not deny the pain or suffering they are experiencing; rather, they retain a sense of positivity that helps them overcome the negative effects of their situation. Positive emotions have a scientific purpose and that is to help the body recover from the ill effects of negative emotions. Thus cultivating positivity over time can help us become more resilient in the face of crisis or stress. So how can one increase positivity? Practice kindness. Really it is not hard. Smile more at people, hold the door open, give more. Practice gratitude. Another simple act. Being truly grateful for where you are and what you have and that it can only go up! Practice quiet. Prayer, mediation, quiet your mind because then you will become aware of all the good around you. Get help. This is where a homeopath can help. We can help you with thinking positive. We are able to give you remedies that will help mood and help you keep that mood. A patient of mine was in complaining that she hated this and that and was never satisfied with her life. After the interview was finished, I prescribed a remedy that I knew would help her with the physical complaints but also matched her mental attitude. When she came back she could not believe how much her attitude had changed. She was happier, she was grateful and she felt better. When you feel better, your mood changes. When your mood changes, it affects your physical state. For information about homeopathy, reflexology, attitude coaching or just have questions about Total Holistic Wellness, please contact us. Homeopathy, Bioenergetics, Jenn Metzger, Hom. Homeopathic Practitioner, Treating families naturally. Treating Allergies, Sleep problems. Kitchener, Waterloo.